[Whereas Mill knew of or examined some one hundred Greek manuscripts to uncover his thirty thousand variations, today we know of far, far more. At last count, more than fifty-seven hundred Greek manuscripts have been discovered and catalogued.] Page 88. على الرَّغم من أن “مِلّ” كان يعرف أو دَرَس حوالي مائة مخطوطة يونانية ليكشف الثلاثين ألف اختلاف، اليوم نحن نعرف أن اختلافات أكثر من ذلك، بل أكثر بكثير. في آخر إحصاء، أكثر من 5700 مخطوطة اكتُشِفَت وتم إضافتها إلى الفهارس. [That’s fifty-seven times as many as Mill knew about in 1707. These fifty-seven hundred include everything from the smallest fragments of manuscripts—the size of a credit card—to very large and magnificent productions, preserved in their entirety.] Page 88. هذا سبعة وخمسين ضعفاً أكثر من عدد المخطوطات التي عرفها “مِلّ” 1707م. هذه 5700 مخطوطة تضم جميع الأشكال بدءً من أصغر القصاصات – أي في حجم بطاقة الائتمان – إلى الأعمال شديدة الضخامة و العظم، المحفوظة بكاملها. [Some of them contain only one book of the New Testament; others contain a small collection (for example, the four Gospels or the letters of Paul); a very few contain the entire New Testament.13 There are, in addition, many manuscripts of the various early versions (= translations) of the New Testament.] Page 88. بعض هذه المخطوطات تحتوي على كتاب واحد فقط من العهد الجديد؛ والبعض الآخر على مجموعة صغيرة من الكتابات (مثل: الأناجيل الأربعة أو رسائل بولس)؛ وعدد قليل للغاية من هذه المخطوطات تحتوي على العهد الجديد بالكامل. بالإضافة إلى ما سبق, هُناك العديد من المخطوطات للتَّرجمات القديمة للعهد الجديد. Note 13. 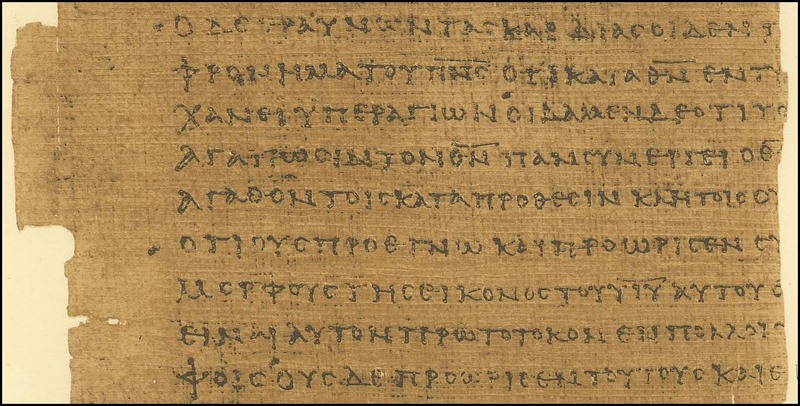 My friend Michael Holmes points out to me that of the seven thousand copies of the Greek Bible (both Greek New Testament and Greek Old Testament), fewer than ten, to our knowledge, ever contained the entire Bible, both Old and New Testaments. All ten of these are now defective (missing pages here and there); and only four of them predate the tenth century. · العديد من المسيحيين يعتقدون أن الـ 5700 مخطوطة للعهد الجديد بالكامل ! · حتى المُخطوطات التي كانت في الأصل نُسخاً كاملة لم تعد كاملة الآن ! 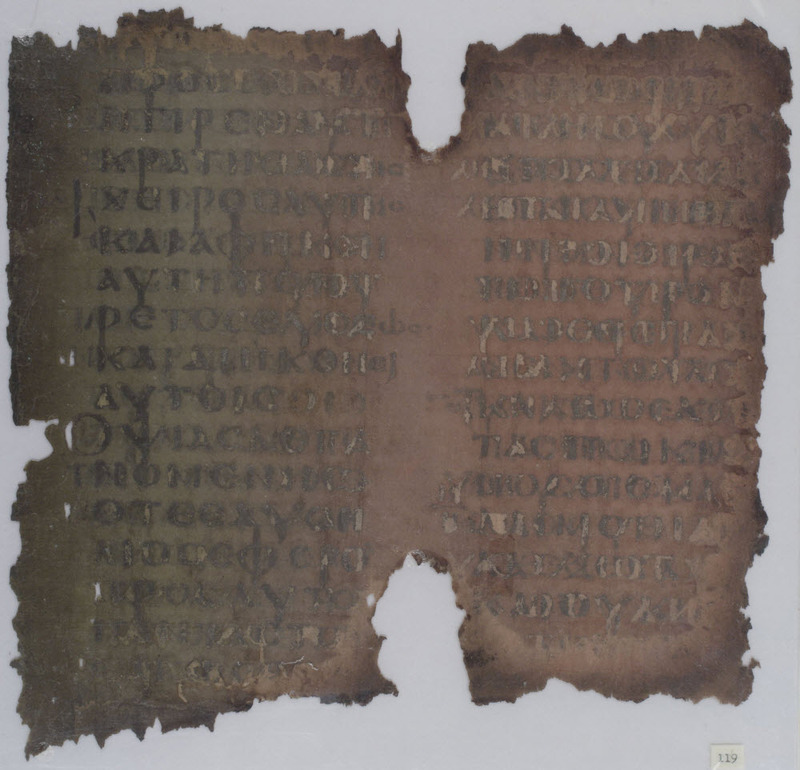 [These manuscripts range in date from the early second century (a small fragment called P 52 , which has several verses from John 18) down to the sixteenth century. 14] Page 88. هذه المخطوطات يمتد تاريخها من بدايات القرن الثاني (قُصاصة صغيرة تسمى P52، والتي تضم بعض أعداد يوحنا 18) وصولاً إلى القرن السادس عشر. Note 14. Manuscripts – handwritten copies – continued to be made after the invention of printing, just as some people continue to use typewriters today, even though word processors are available. · بعد العلماء حاولوا إثبات أن هُناك برديَّات أخرى ترجع إلى القرن الثاني بل وإلى الأول أيضاً ! 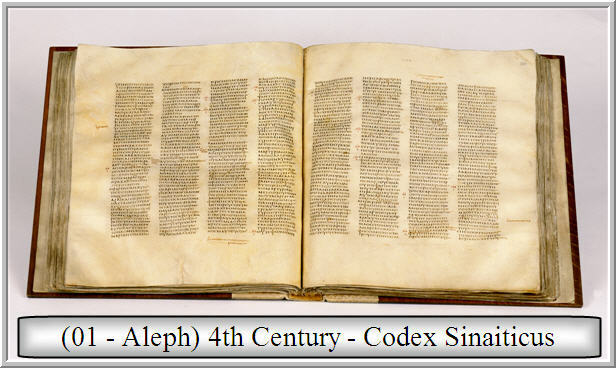 [They vary greatly in size: some are small copies that could fit in the hand, such as Coptic copy of Matthew’s Gospel, called the Scheide Codex, which measures 4 x 5 inches; others are very large and impressive copies, among them the previously mentioned Codex Sinaiticus, which measures 15 x 13.5 inches, making an impressive spread when opened up completely.] Page 88. هذه المخطوطات تتفاوت بشكل كبير في أحجامها: بعضها نُسخ صغيرة في حجم كف اليد، مثل النَّسخَة القِبطِيَّة لإنجيل متى, والتي تُسمَّى المخطوطة “السخيديَّة“، والتي يبلغ حجمها 4 × 5 بوصة؛ والبعض الآخر نسخٌ كبيرة للغاية ومثيرة للإعجاب، من بينهم المخطوطة السينائية سابقة الذِّكر، والتي يبلغ حجمها 15 × 13.5 بوصة، والتي تبدو عريضة بشكل مُبهر عندما تُفتح بشكل كامل. 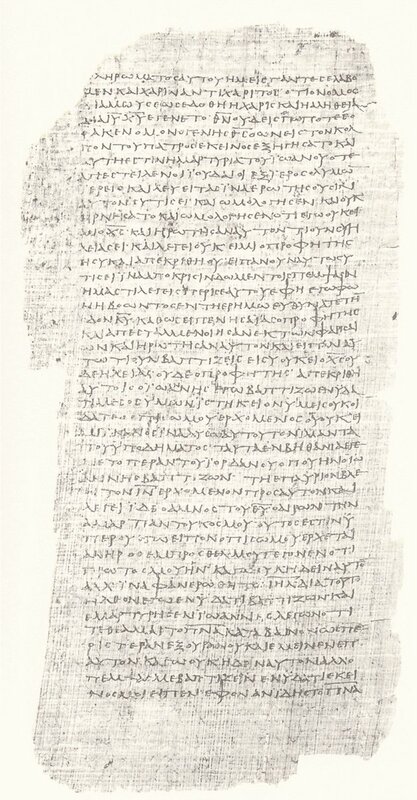 [Some of these manuscripts are inexpensive, hastily produced copies; some were actually copied onto reused pages (a document was erased and the text of the New Testament was written over the top of the erased pages); others are enormously lavish and expensive copies, including some written on purple-dyed parchment with silver or gold ink.] Page 88. بعض هذه المخطوطات رخيصة، نُسَخ تم إنتاجها على عجل؛ بعضها منسوخة على صفحات مُستعملة من قبل (يتم مسح الوثيقة القديمة ويُكتب نص العهد الجديد فوق الصفحات الممسوحة)؛ بعض المخطوطات الأخرى فاخرة جداً وغالية الثَّمن، من ضمنها بعض المخطوطات التي كُتِبَت على رقوق أرجوانية اللون بحبر فضيّ أو ذهبيّ. 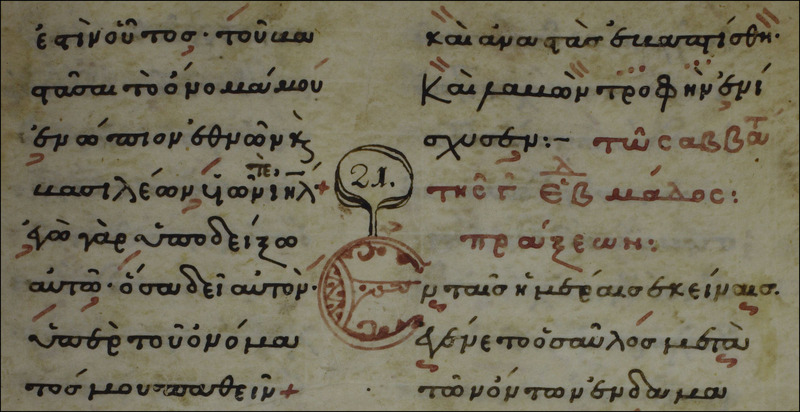 [As a rule, scholars speak of four kinds of Greek manuscripts.15] Page 89. كقاعدة، يتحدث العُلماء عن أربعة أنواع من المخطوطات اليونانية. Note 15. It will be seen that the four categories of manuscripts are not grouped on the same principles. 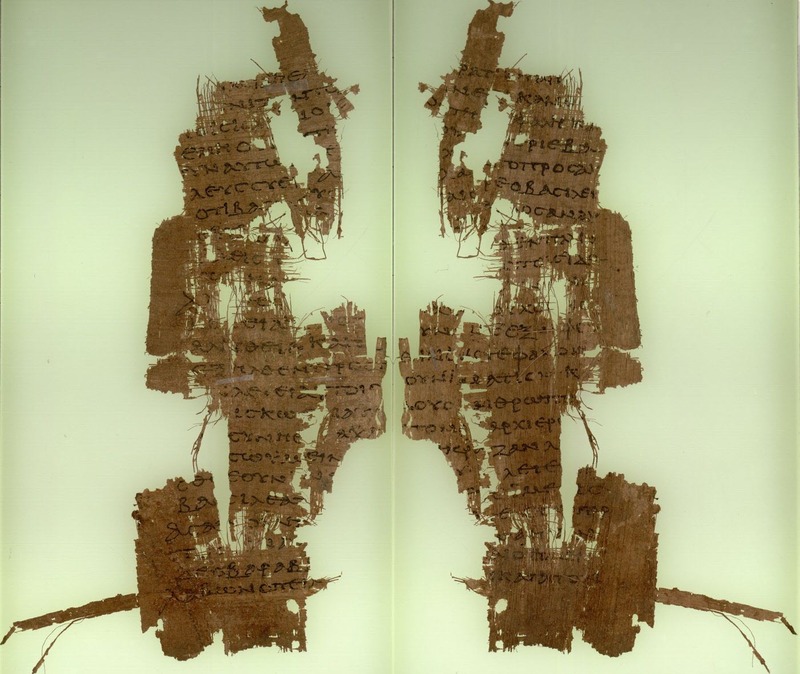 The papyri are written in majuscule script, as are the majuscules, but on a different writing surface; the minuscules are written on the same kind of writing surface as the majuscules (parchment) but in a different kind of script. 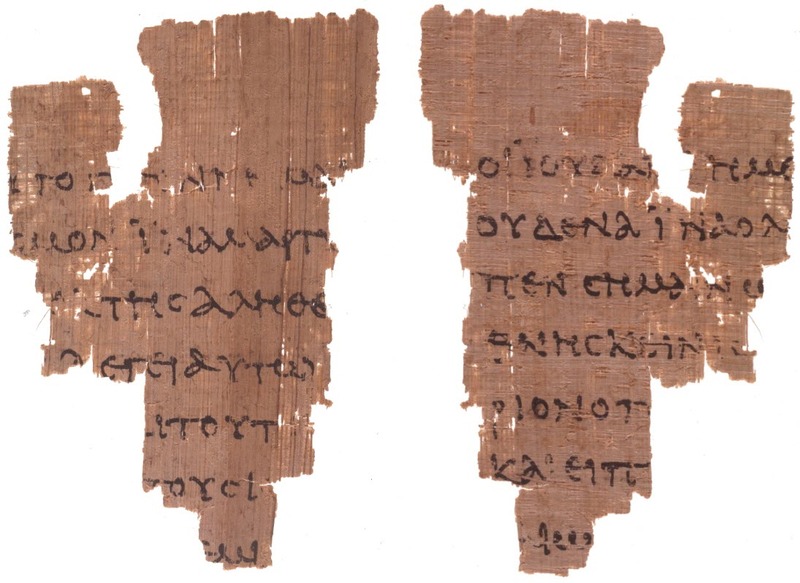 [(1) The oldest are papyrus manuscripts, written on material manufactured from the papyrus reed, a valuable but inexpensive and efficient writing material in the ancient world; they date from the second to the seventh centuries.] Page 89. (1) أقدم المخطوطات هي البرديّات، مكتوبة على مواد مصنوعة من قصب البردي، قَيِّمَة ولكنَّها ليست غالية الثمن ومادة كتابة فعالة في العالم القديم؛ هذه المخطوطات من القرن الثاني إلى السّابع الميلادي. 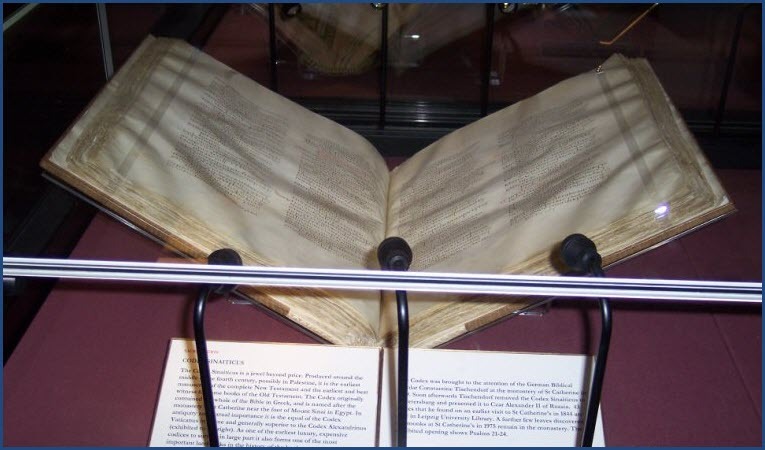 [(2) The majuscule (= large-lettered) manuscripts are made of parchment (= animal skins; sometimes called vellum) and are named after the large letters, somewhat like our capital letters, that are used; these date, for the most part, from the fourth to the ninth centuries.] Page 89. (2) مخطوطات الـ “ماجوسكول” (= أحرف كبيرة) المصنوعة من الـ “برشمان” (= جلود الحيوانات؛ أحياناً يطلق عليها الرِّق) وسُميت بسبب حروفها الكبيرة، وهي تشبه الأحرف الكبيرة المعروفة لنا والتي نستخدمها [أي: في الإنجليزية]؛ هذه المخطوطات في الغالب من القرن الرّابع إلى السّابع الميلادي. 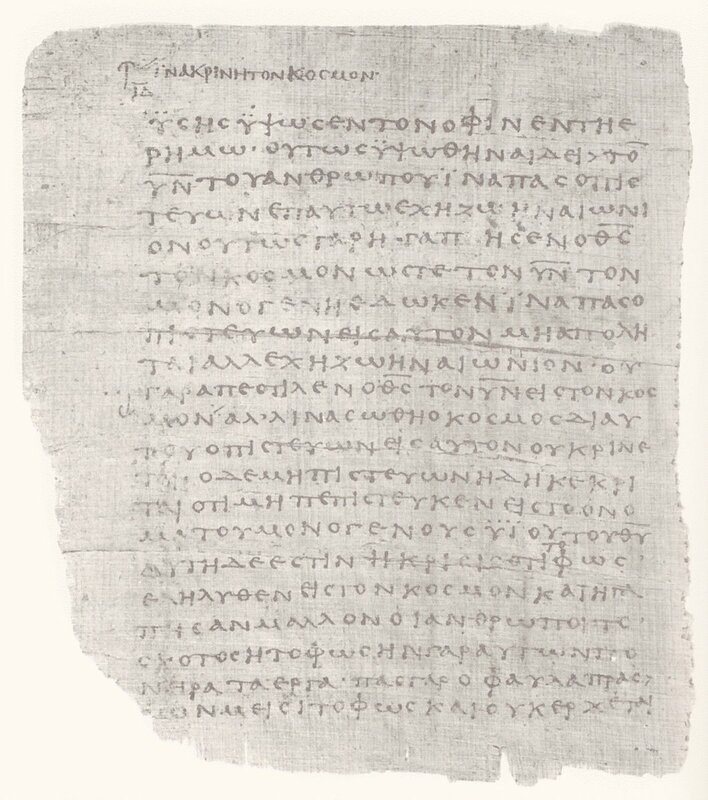 [(3) Minuscule (= small-lettered) manuscripts are also made of parchment but are written in smaller letters that are frequently combined (without the pen leaving the page) into what looks something like the Greek equivalent of cursive writing; these date from the ninth century onward.] Page 89. (3) مخطوطات الـ “مينوسكول” (= أحرف صغيرة) مصنوعة أيضاً من الـ “برشمان” ولكنَّها مكتوبة بأحرف صغيرة مَوصُولة (بدون أن يُرفع القلم عن الصفحة) بشكل يُشبه الكتابة اليونانية المُقابلة للكتابة المُتَّصلة [مثل الكتابة الإنجليزية بحروف مُتشابكة]؛ هذه المخطوطات في الغالب من القرن التّاسع فصاعداً. [(4) Lectionaries are usually minuscule in form as well, but instead of consisting of the books of the New Testament, they contain, in a set order, “readings” taken from the New Testament to be used in church each week or on each holiday (like the lectionaries used in churches today).] Page 89. (4) كتابات القراءات الكنسية عادة مكتوبة بأحرف صغيرة أيضاً, لكنَّها بدلاً من أن تضم كتابات العهد الجديد، هذه المخطوطات تحتوي, بترتيب مُحدَّد، “قراءات” مأخوذة من العهد الجديد لاستخدامها في الكنيسة كل أسبوع أو في كل مُناسبة (مثل القراءات المُستخدمة في الكنائس اليوم). 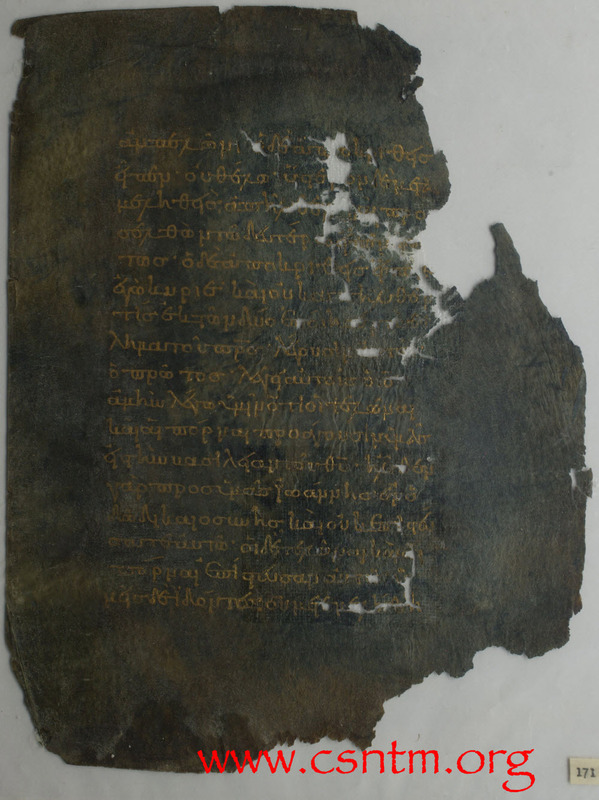 [In addition to these Greek manuscripts, we know of about ten thousand manuscripts of the Latin Vulgate, not to mention the manuscripts of other versions, such as the Syriac, Coptic, Armenian, Old Georgian, Church Slavonic, and the like (recall that Mill had access to only a few of the ancient versions, and these he knew only through their Latin translations).] Page 89. بالإضافة إلى هذه المخطوطات اليونانية، نعلم بوجود عشرة آلاف مخطوطة للفالجيت اللاتينية، ناهيك عن مخطوطات التَّرجمات القديمة الأخرى، مثل الترجمة السُّريانِيَّة، والقِبطِيَّة، والأرمِينِيَّة، والجُورجِيَّة القديمة، ومخطوطات الكنيسة السلافونِيَّة … إلى آخره (تذكر أن “مِلّ” كان لديه إمكانية الاطِّلاع على فقط القليل من التَّرجمات القديمة، وهذه التَّرجمات كان يعرفها فقط عن طريق ترجماتها اللاتينية الحرفيَّة). [In addition, we have the writings of church fathers such as Clement of Alexandria, Origen, and Athanasius among the Greeks and Tertullian, Jerome, and Augustine among the Latins—all of them quoting the texts of the New Testament in places, making it possible to reconstruct what their manuscripts (now lost, for the most part) must have looked like.] Page 89. بالإضافة إلى ما سبق، لدينا كتابات آباء الكنيسة مثل “كليمنت السَّكندري” و “أوريجانوس” و “أثناسيوس” من بين الآباء اليونانيين و “ترتليانوس” و “جيروم” و “أوغسطينوس” من بين الآباء اللاتينيين – جميع هؤلاء الآباء اقتبسوا من نُصُوص العهد الجديد في العديد من المواضع، مما جعل إعادة تكوين الشَّكل الذي كانت عليها مخطوطاتهم أمراً مُمكناً (هذه المخطوطات في الغالب مفقودة حالياً). [With this abundance of evidence, what can we say about the total number of variants known today? Scholars differ significantly in their estimates—some say there are 200,000 variants known, some say 300,000, some say 400,000 or more!] Page 89. في وجود هذه الوفرة من الشَّواهِد, ماذا يمكننا أن نقول بخصوص العدد الإجمالي للاختلافات في وقتنا الحاضر ؟ يختلف العلماء بشكل كبير في تحديد الرَّقم – البعض يقول إن هناك 200,000 اختلاف معروف، البعض الآخر يقول 300,000، والآخر يقول 400,000 أو أكثر ! · عدد الاختلافات الضخم ليس بسبب كثرة المخطوطات ! [We do not know for sure because, despite impressive developments in computer technology, no one has yet been able to count them all. Perhaps, as I indicated earlier, it is best simply to leave the matter in comparative terms. There are more variations among our manuscripts than there are words in the New Testament.] Page 89, 90. نحن لا نعلم [عدد الاختلافات بين المخطوطات] على وجه اليقين بسبب، وعلى الرَّغم من التَّطوُّرات المُدهِشة التي حدثت في مجال تكنولوجيا الكمبيوتر، أنه لم يقدر أحدٌ على عدّهم جميعاً إلى الآن. رُبَّما، كما أشرت من قبل، من الأفضل ببساطة أن نضع المسألة في صورة مقارنات. هُناك الاختلافات بين مخطوطاتنا أكثر من عدد كلمات العهد الجديد.